Jacob’s Pillow Dance celebrates its 80th Anniversary Festival with a diverse and dynamic program of dance performances set amid the historic grounds in the Berkshire Hills. Morphosis' performance presents the world premiere of "Within" (Labyrinth Within), choreographed by Pontus Lidberg. The dancers are on stage alongside Lidberg's award-winning film “Labyrinth Within.” The two different presentations combined effectively to create a single interactive dance experience. 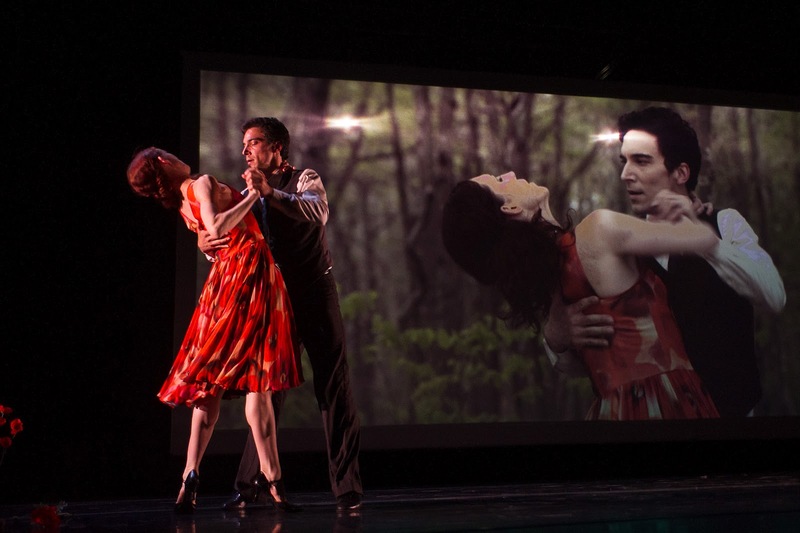 The film, which stars Lidberg himself alongside dancers Wendy Whelan and Giovanni Bucchieri, portrays a passionate love triangle between the three dancers. It combines gorgeous dancing with a lush score by David Lang. The film tells the dark story of passion and sensuality through the dance and stunning camera visual effects. In particular, a scene with a room filled with red flowers makes a vivid impact. The real excitement comes in watching those on stage dance with the dancers in the movie. They alternated between mimicking the choreography shown in the film with responding to the dancers in the film in a new way, creating complementary and opposing shapes. The choreography comes alive with the dancers moving fluidly in circular motions across stage. All of the dancers on stage execute their moves with intense energy and conviction. They take the storytelling from the movie and make it come alive in the theatre with beautiful technique and artistry. It is a shame that the live dancers are underutilized in the second half of the performance. As stunning as the film is, there is too much time devoted to just the film. The film's story unfolds on screen very well, but it could be much more satisfying to incorporate the live dancers into the most dramatic of the cinematic sequences. Another flaw is the abrupt ending, leaving the audience to wonder if there is more to come. Unfortunately, it is the end of a thrilling and inventive night of dance.